Having the correct software and hardware solutions for your business is key to maximising both your staffs and your businesses productivity. It's now more important than ever to have a fast, efficient and resilient computer network to give your business the advantage over your competitors, getting expert from advice on purchasing hardware and software will ensure you make the right purchasing decision for your business whilst taking advantage of all the promotional offers, discounts and purchasing methods available. We can provide a huge variety of hardware, software and consumables at very competitive prices, but rather than just selling we ensure the products we provide will be the best solution to meet the needs of your business within your budget. Allow your business to benefit from the years of experience our technical sales team have gained whilst working in partnership with a variety of the industry's leading vendors. 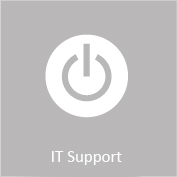 Contact Swift today to get the most out of your IT Systems, please contact us here.